Here you'll discover resources to help you find and book a holiday accommodation in South Africa. Search among 400 B&B's, Guest Houses, Game Lodges and Holiday Houses in South Africa. Inquire and book online directly with the proprietor. Explore Southern Africa, plan your trip and well take care of the reservations and finer details.Or ask our professional agents to assist you with your bookings. Zimbabwe, Nambia, Botswana Mozambique, Swaziland and South Africa offer a limitless variety of holiday, pleasure and adventure destinations. African travel guide and safari planner with destination information, maps, reviews, tours and trip-planning tools. 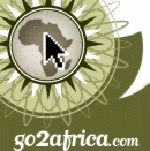 Africa.com is the essential resource for all that's African on the World Wide Web. We are the starting point for research, entertainment and business pursuits in Africa, a great place for cyber tourists and professionals alike.